Mother’s milk is an integral part of our first food memory. It single-handedly sustained and nourished us through our initial months and years of life. It’s no wonder we have such an emotional tie to milk and the products made from it. But ever since I cut out milk products three years ago, I’ve felt better than ever. For years, my body was sending me signals that I basically ignored and never knew were connected to my body’s intolerance to dairy. When I cut it out, my sinus congestion disappeared, I stopped getting bronchitis twice a year, and my post-nasal drip went away. That meant no more Sudafed, Advair, Mucinex or Tylenol Cold & Sinus – all medications I used to take multiple times throughout the year. My skin and digestion also improved significantly – less dryness and zits and less bloating and gas (just being honest!). Giving up dairy is also one of the reasons I was finally able to get off of medicine I used to take daily to control acid reflux. Since cutting out dairy, I’ve had to find tasty alternatives to something most of us drink or use in things like smoothies every day – milk. I’ve been drinking almond milk for years but always bought the boxed versions from the grocery store. 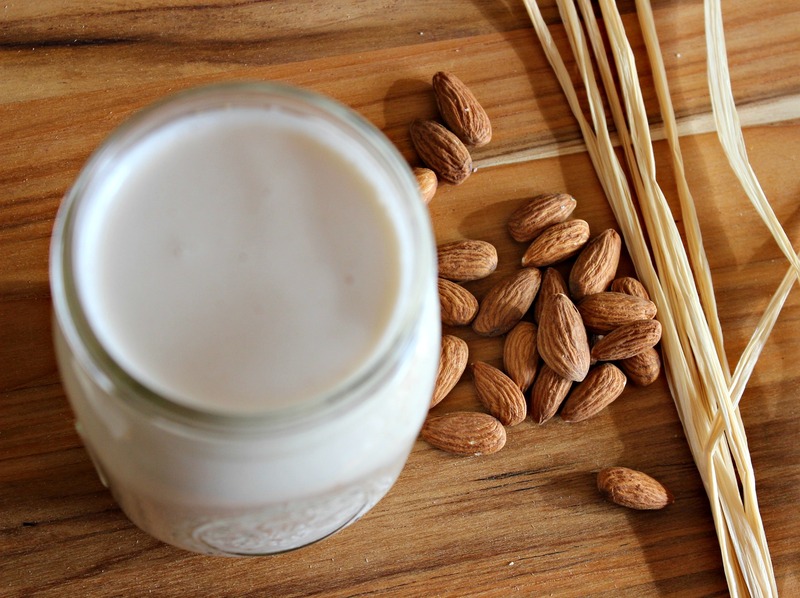 During my culinary nutrition program this fall I was finally inspired to make my own almond milk. It was easier than I thought. I just had to do it. 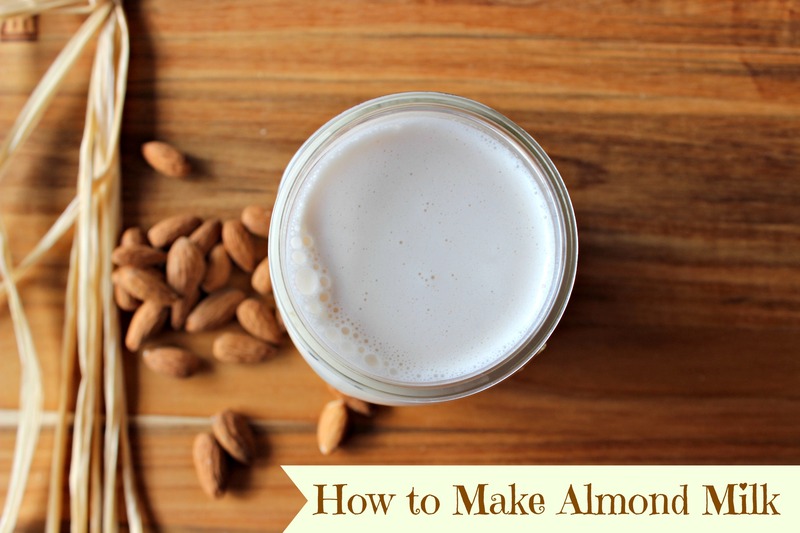 In the video below, I show you exactly how to make almond milk in a step-by-step, foolproof way. I also share my favorite natural sweeteners and flavor enhancers to add to almond milk to make it taste delicious. 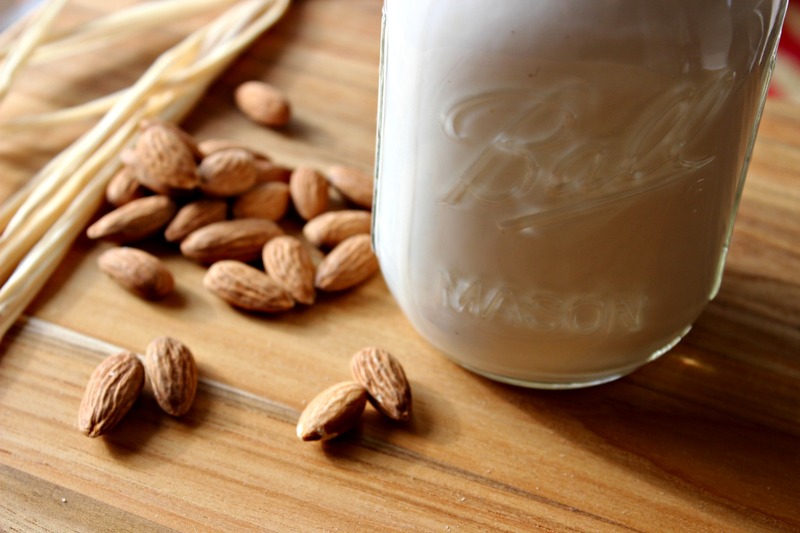 Soak almonds in 2 cups of water at least 3 hours or overnight. Rinse almonds in colander and then pour nuts into blender. You don’t NEED a high-speed blender like a Vitamix or Blendtec to make this, but it helps. Add 4 cups of water to blender and blend on high for about 1 minute. Position nut milk sack over a large bowl or 8 cup measuring cup and pour liquid from blender into nut milk sack. Pull drawstring at top and GENTLY squeeze milk out of sack, leaving the pulp in the sack. Rinse blender and then pour strained milk back into blender. Add sweetener of choice and vanilla extract and blend for 10-15 seconds. This was great, Rachel! Can’t wait to try it. Thanks for sharing. You’re welcome, Cathie! Glad you liked it 🙂 Let me know if you end up trying it yourself! I enjoyed your video! Have you ever tried freezing almond milk? I am the only one who likes it in my house and I don’t know if I’d use it all up before it goes bad. Thanks! Hey Kayla! Thanks for the feedback 🙂 I have! That’s a great point to make. You can freeze the extra almond milk in ice cube trays and just have it on hand when you need it, so you don’t have to worry about it going to waste. I will update the post to reflect that!